NEW YORK (AP) — Wearable technology is coming to Major League Baseball. The sport’s playing rules committee approved two devices for use during games this season, two people familiar with the decision told The Associated Press. 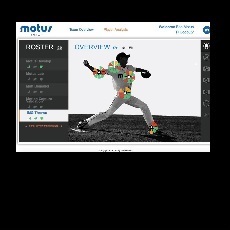 The Motus Baseball Sleeve measures stress on elbows and the Zephyr Bioharness monitors heart and breathing rates. In addition, the committee approved a pair of bat sensors for use on field during workouts, one from Blast Motion and the other from Diamond Kinetics. The technology provides the potential for earlier detection of habits that could lead to injuries. However, the union is concerned about player privacy and how teams use the information. Both sides say further discussions are likely in bargaining this year.